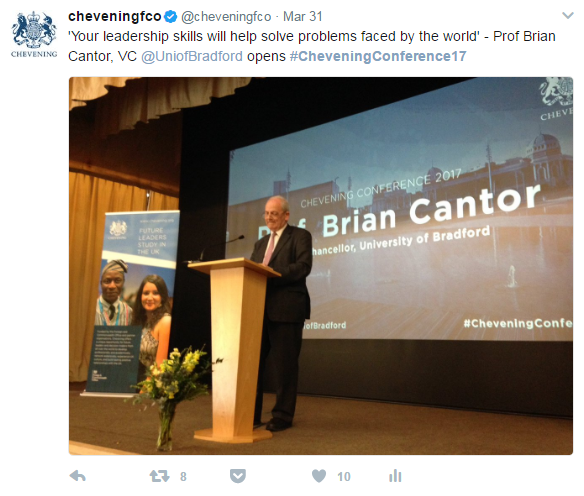 More than 100 scholars attended or presented at the fourth Chevening Conference, which was hosted by the University of Bradford on Friday, 31 March 2017. 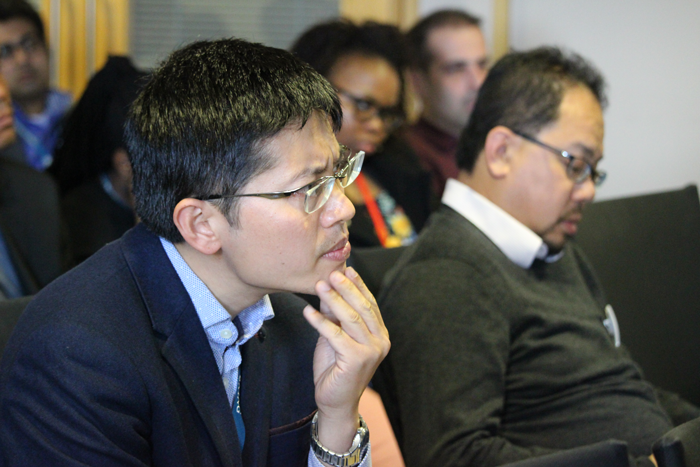 The purpose of the annual conference is to give scholars the chance to link their studies to a chosen theme, presenting their own research to academics and their fellow scholars. This year’s theme was ‘Collaborative Leadership’, and the event also gave scholars the opportunity to hear from leading academics. The conference was opened in the University of Bradford’s Great Hall by Professor Brian Cantor, Vice-Chancellor of the University of Bradford. He welcomed scholars to Bradford and spoke about the 50th anniversary of the University of Bradford and its strong reputation as a technology university. Professor Grint’s speech spoke about the different types of problems faced by leaders and their followers, and the different methods and styles of leadership needed to address these problems. 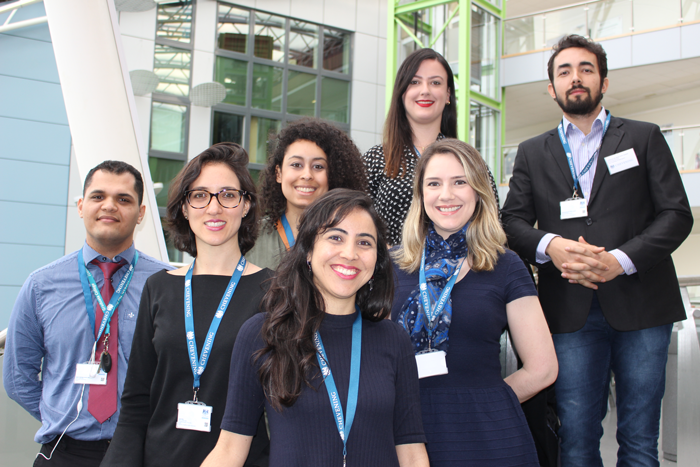 This was followed by the first of two scholar sessions, where scholars delivered their own presentations on important contemporary issues, linking their studies to the conference theme. The first presentation sessions were split into four topics: ‘cities and communities’, ‘international development’, ‘governance and policy’, and ‘health’. Scholars not presenting were free to choose which sessions they wanted to attend. The morning’s presentations included titles such as ‘Collaborative leadership as a cooperative game between governments and citizens’ by Victor Cajes, Chevening Scholar from Paraguay; and ‘Collaborative leadership for economic transformation’ by Munalula Ngenda, Chevening Scholar from Zambia. The aim of these sessions was to give scholars presentation experience, and to meet academic experts. They then gained feedback on their ideas from our academics and their contemporaries. The presentations sparked lively debate, with scholars fielding challenging questions from the audience after their presentations. Priyambada Seal, Chevening Scholar from India, said: ‘I was given the opportunity to present on governance and policy. It was a great pleasure to be among the wonderful people presenting and collaborating at the conference’. The lunch break gave the opportunity for scholars to present their research in poster form (example below), and to discuss their research with small groups in front of their work. Scholar presentation sessions continued in the afternoon, with four different topics being explored: ‘human rights’, ‘business’, ‘media and communication’, and ‘environment’. Scholars then returned to the Great Hall to listen to and ask questions of an academic panel assembled by the university. 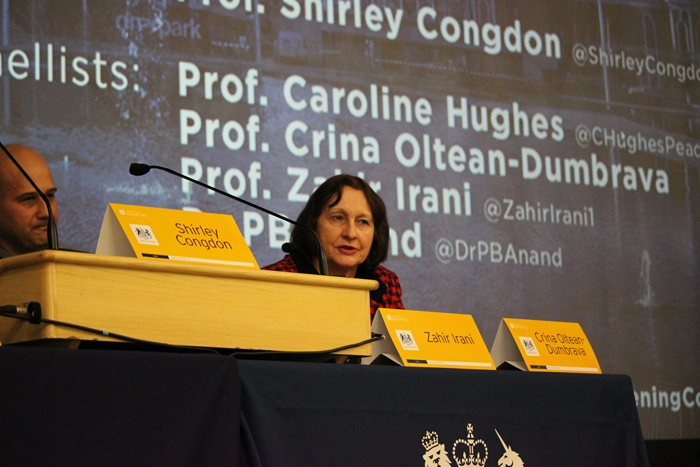 The panel was titled ‘Collaborative leadership in a world of conflict and co-operation’ and chaired by the University of Bradford's Deputy Vice-Chancellor, Professor Shirley Congdon. The panel featured Professor Caroline Hughes, from the Department of Peace Studies and International Development; Professor Crina Oltean-Dumbrava, Chair in Sustainable Built Environment; Professor Caroline Hughes, Head of department for Peace Studies and International Development; Professor Zahir Irani, Dean of Faculty Management and Law; and Dr PB Anand, Reader in Environmental Economics and Public Policy. Our Chevening Alumna speaker, Nhung Thi Thanh Pham, followed the panel session. 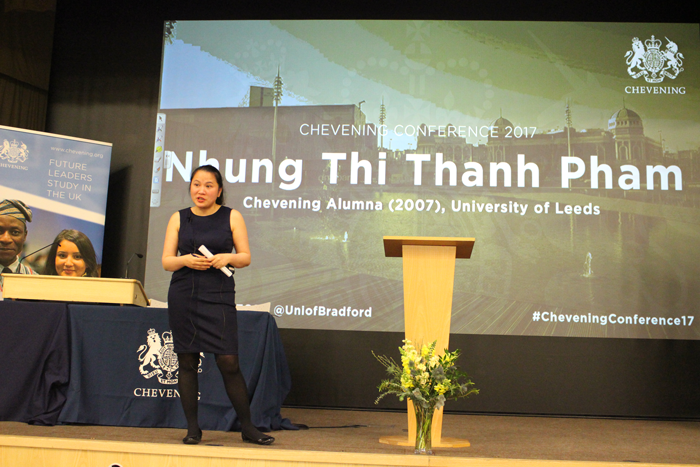 She studied at the University of Leeds in 2006/2007 and delivered a moving speech to scholars on how she uses technology in work to improve the lives of children in Vietnam. The conference was then brought to a conclusion by Professor Congdon who thanked scholars and academics for attending. The day was a great success, allowing for scholars to exchange ideas, and showcasing the facilities on offer at the University of Bradford to scholars who had travelled from across the country. 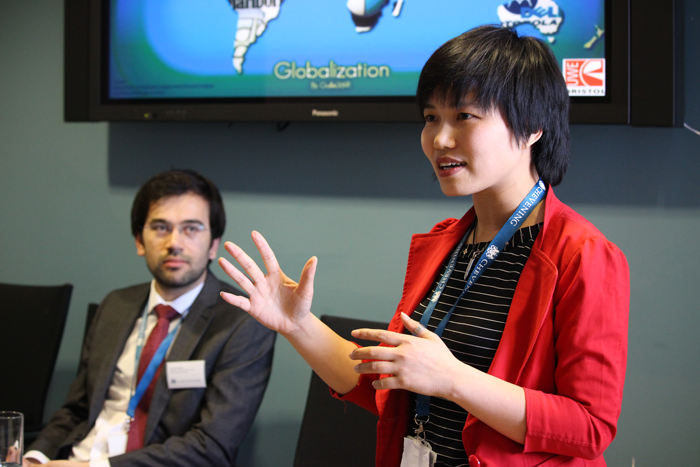 Lin Chunyu, Chevening Scholar from China, said: ‘This brilliant event enriched us all with knowledge and practice on the theme of collaborative leadership’. 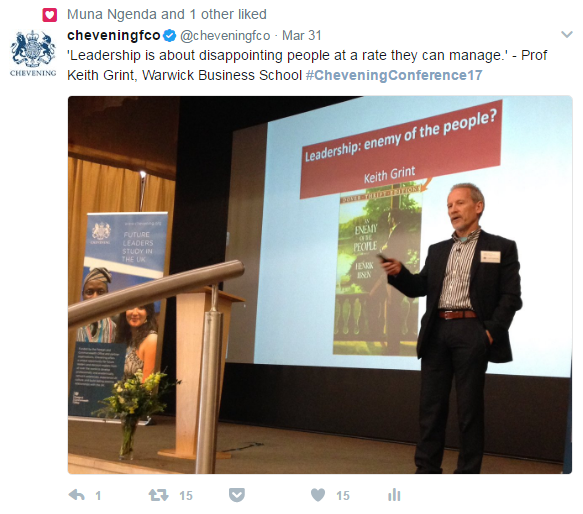 If you are interested in hosting next year’s Chevening Conference in March 2018 then please contact your designated Chevening programme officer, or email engage@chevening.org. For more information on Chevening Partnerships, visit this page.